You can supplement your Innoprise Suite with a variety of solutions including document management, online payment processing, mobile barcode reading, and/or interactive voice response (IVR). We’ve integrated Innoprise with a number of document management solutions, starting with our Questys product. A document management solution will save you time and money, and help save the environment. Avolve Software is the market leader for ePlan submission, review and tracking solutions. Cities and counties of all sizes work with Avolve Software using the ProjectDox solution to offer a comprehensive system for electronic plan submittal, plan review including workflow, and plan management. ProjectDox is known for its comprehensive capabilities, flexibility, scalability and ease of use. ProjectDox combines state-of-the-art Internet technology and an experienced implementation, training and support team with a world-class solution. ProjectDox interfaces with our Permits module within our Innnoprise Community Development Suite. Since 1992, Selectron Technologies has worked with over 350 clients, implementing its voice, Web, and mobile solutions, developing a comprehensive technical knowledgebase and a thorough understanding of government business rules and processes. Selectron’s focus on government service and operations translates into expertise and understanding of buildings, utilities, courts and the other critical government functions that its solutions help to enhance. 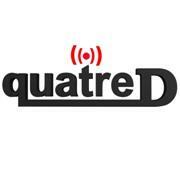 Quatred LLC is a systems integrator and solution provider, assisting clients in the implementation of advanced “Touchless Technologies”©. Quarted is committed to being a leader in deploying these technologies and integrating with applications and business processes that make use of them, across all industries. Quatred represents decades of real-world project experience over hundreds of successful implementations. Point & Pay designs, builds, and integrates specialized payment solutions for governments, utilities, courts, and other organizations with unique needs.